February always brings with it the love-soaked holiday known as Valentine’s Day, when people paste anatomically-incorrect hearts everywhere and ship flowers to their partners in order to convey their love for one another. Luke Brodersen turning every shade of red. The history of this long-celebrated day remains shrouded in mystery, but the day’s namesake, St. Valentine, may have married lovers in secret after the ruler of the time banned marriage for young men, hence the romantic origins of the holiday. Of course, if you do not celebrate on February 14, you can always go out the next day and get a great deal on chocolate. 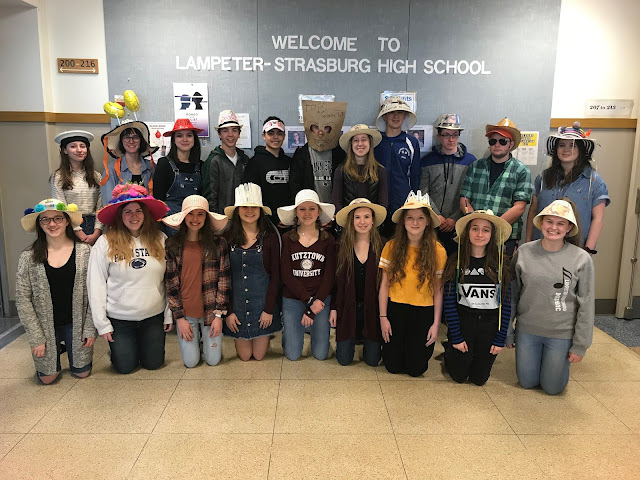 Here at Lampeter-Strasburg, we have our own special tradition: Singing Valentines. Each year, students gather around the side table at lunch to order their cards for friends, love interests, or just people they want to see embarrassed. 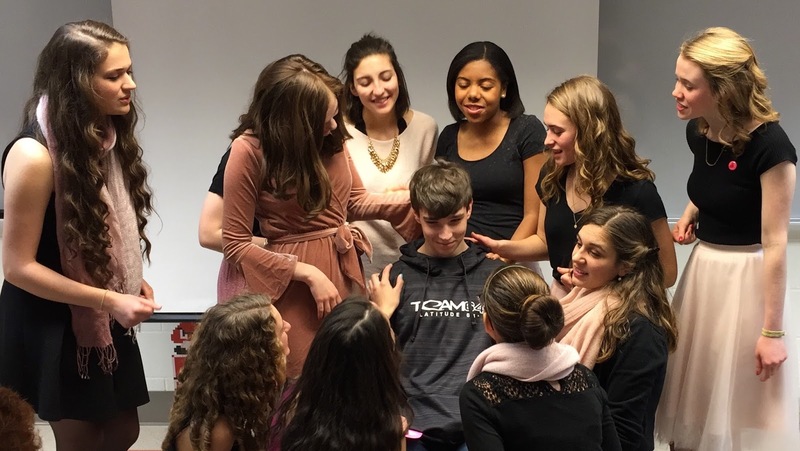 Groups of singers from the Tri-M Music Honor Society -- for whom the Valentines are a fundraiser -- as well as Madrigals wander the hallways, cards in hand, ready to pop into classrooms and sing their hearts out to the lucky recipients. This year, the girls’ groups sang “Signed, Sealed, Delivered I'm Yours” by Stevie Wonder and “The Longest Time” by Billy Joel, and the guys performed a rendition of “You Make Me Feel So Young” by Frank Sintra. They practiced two or three times a week with as many people present as possible. No feeling compares to the emotions felt while being sung to by an ensemble in front of your entire class, and even though you might be slightly annoyed by your friends giggling in the back row, you still end up with a smile on your face. “...love is being seductively serenaded by groups of your friends singing love songs for you,” Aron Possler, one of the Tri-M members, states. View all of today's singing Valentine's here.